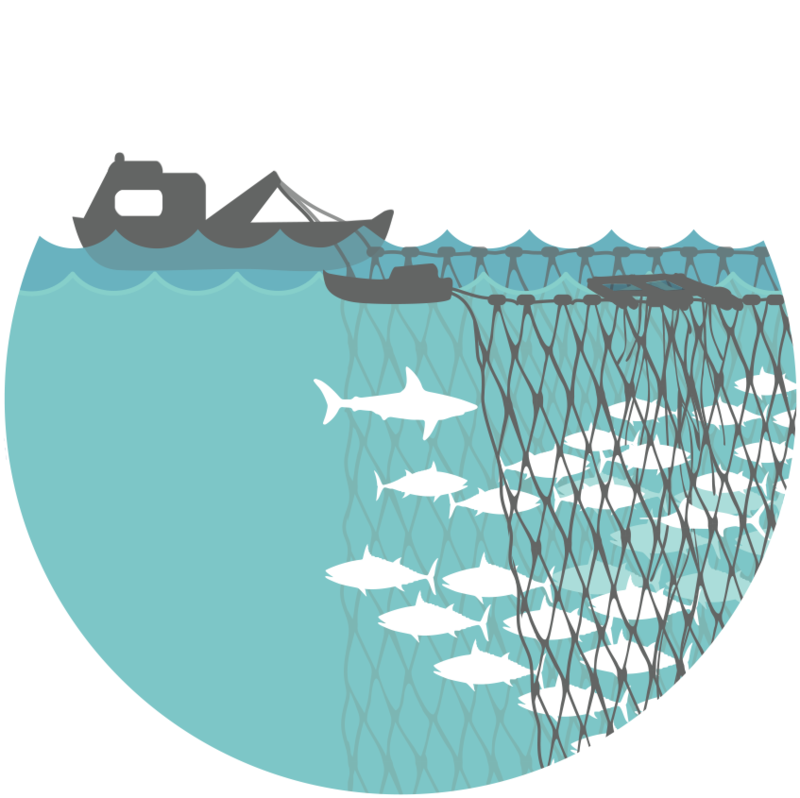 Our tools and resources — because they help us reach our ultimate objective regarding the Marine Stewardship Council (MSC) certification standard — have always been complementary to fisheries improvement work or Fishery Improvement Projects (FIPs). Provide science-based guidance and advocacy support as a stakeholder in FIPs that seek to achieve MSC certification standards. Provide support and tools to tuna fisheries that are MSC-certified with conditions so they may close those conditions. Provide FIPs that seek to meet MSC certification standards with science-based guidance, data and tools, as well as advocacy support at the RFMO and national levels, to support the implementation of FIP work plans. Make available ISSF verification tools to all tuna fisheries, including tools for participating company traceability and vessel best practices, so they may transparently demonstrate progress. To learn more, explore the Fisheries Improvement section of the main ISSF website, where you'll find our FIP Resources Finder. 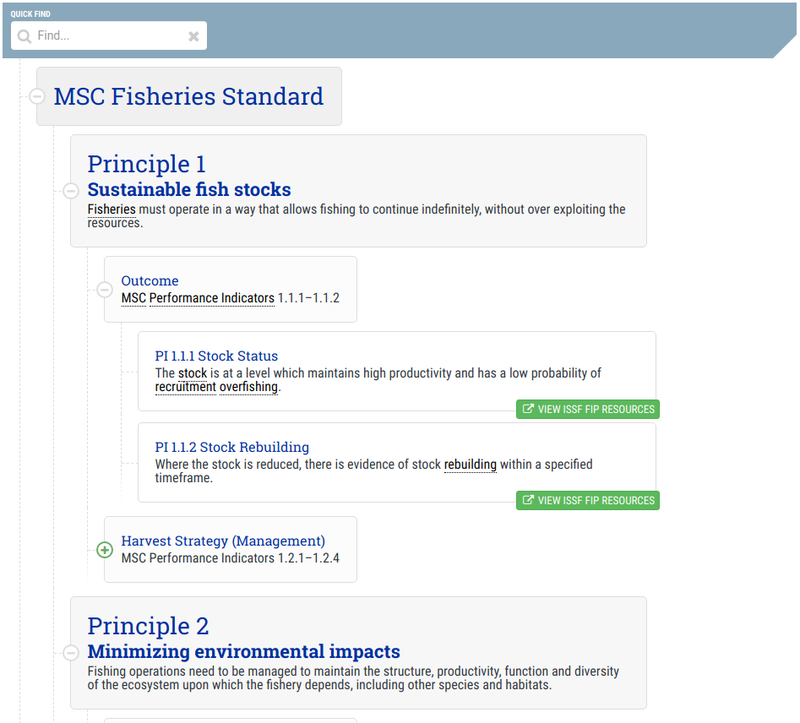 Use the Finder to discover which ISSF online resources map to each MSC Performance Indicator -- and can help FIPs on their path to MSC fishery certification. We've launched a new interactive tool especially for fishery improvement project (FIP) stakeholders. The "FIP Resources Finder" is designed for FIPs seeking Marine Stewardship Council (MSC) fishery certification. Based on the MSC Performance Indicators (PIs) a FIP is focused on, including to close conditions for certification, the tool links to related technical reports, guidebooks, databases, and other materials. It also indicates supporting ISSF "technical services," such as workshops, side events, and consultations, that can be requested. Explore the FIP Resources Finder on the main ISSF site.